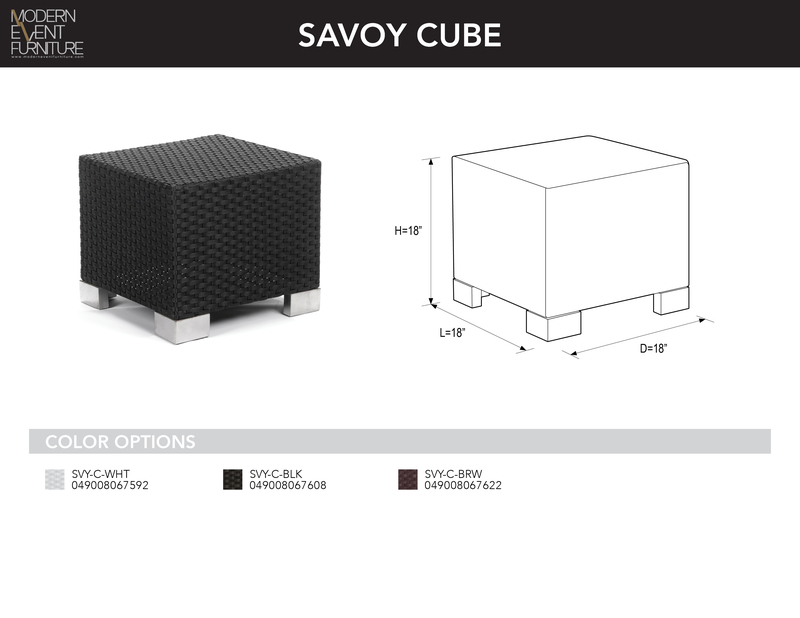 Savoy Cube - MEF Modern Event Furniture Inc. Proprietary "L" cushion to eliminate staff shipping errors! Same scale as the Mondrian & Regency collections. Rust free aluminum frame - 50% thicker gauge! Cushions close with velcro for easy washing. The current selection cannot be added to the cart. For more information or if you are ready to get started, please contact us at info@moderneventfurniture.com or call 1.877.999 1MEF (1633) to speak with one of our team members.